French chemist who contributed to a major revision of chemical nomenclature. 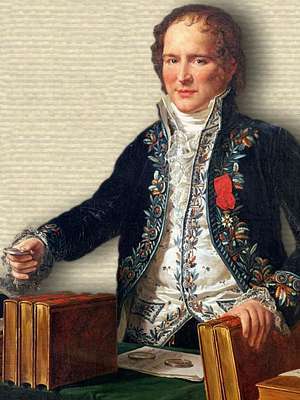 He collaborated with Antoine Lavoisier, Guyton de Morveau, and Claude Berthollet to publish Méthode de nomenclature chimique. The serum, when subjected to heat, coagulates and hardens like egg. This property is one of its striking characteristics; it is attributed to a particular substance which is thereby readily recognizable, and which is called albumine, because it is the one present in egg white, termed albumen. Système des Connaissances Chimiques (1801), Vol. 5, 117. Trans. Joseph S. Fmton, Proteins, Enzymes, Genes: The Interplay of Chemistry and Biology (1999), 161. 15 Jun - short biography, births, deaths and events on date of Fourcroy's birth.